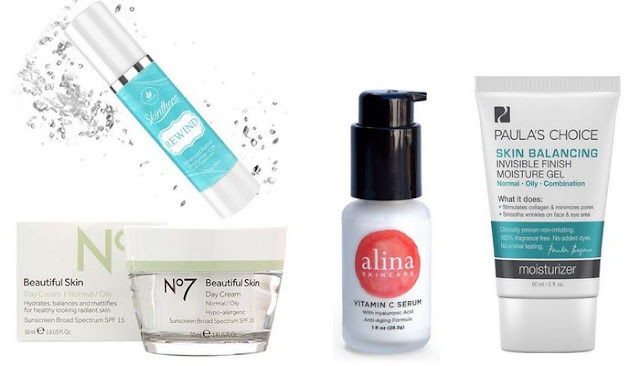 Finding the right skin care products for your skin type can be complicated, especially if your skin is greasy and dry. Now add the package, which is written in a different language, and things are not exactly simpler. But the best Korean combination skin care products can help your skin feel more balanced, even if you are not planning to use a full Korean beauty routine in 10 steps for the combined skin. The combined skin can be described as dry or normal on the cheeks and fat in the T-zone, which includes the nose, the forehead and the chin. People with combined skin can also have large pores in their T-zone that can clog pores and pimples. When it comes to hydrating and balancing this type of skin, Korean skincare products may seem moody, but this popular import is known to be very effective. This is because Korea plays a pioneering role in skin care innovation and many products contain result-based ingredients such as Propolis, ginseng, niacinamide, Arbutin and many others that are hard to find in western countries. And in addition to the ingredients, many of them also present unique textures, such as blister masks and watery essences, which make the formulas even more effective. The only real disadvantage of Korean beauty products is that they are just as addictive as fries, it is difficult to stop one. These great products cover all your beauty routines, from cleaning with oil to using a bowl of milk. This toner is important for everyone with a combined skin type. Peppermint extract cleans and controls the oil deeply while maintaining a balanced pH of the skin. Users praise the fact that the skin is as soft as the floor of a baby. This light and oil-free moisturizing gel cools and refreshes the skin on contact with a lot of moisture. In addition to adding moisture, balancing the skin color and minimizing the pore size, the unique formula includes Lady's Mantle and Malachite to neutralize free radicals that can damage the skin. And best of all is that it does not feel greasy. This soft exfoliation is made with lactic acid, an acid that comes out of the milk and breaks down dead skin cells, sebum and make-up residues that are trapped in the pores. And lactic acid is not only a strong exfoliant, it swells and moisturizes the skin. Use this skin every day after cleansing for a more balanced skin that shines. This carbonated bubble mask disinfects the skin in a matter of minutes. If the container is not sold with a smiling pig wearing a mud mask, the smooth, shiny complexion you have after trying this Korean skin care product will certainly do this. Korean beauty routines are known for many steps, but if you're looking for the compressed version, this all-in-one bubble is for you. After cleansing, skip the steps of toner and essence and apply a spatula of this honey, royal jelly and bubbly of Propolis extract to the face and neck to obtain a hydrated and balanced complexion. This sorbet balm cleaner effortlessly removes make-up (including stubborn mask) and dirt, and the solid oil formula makes it easy. It is full of botanical extracts, including rosemary, chamomile and hollyhock, which feed and eliminate excess sebum. This fresh foam cleaner is made from genuine fermented green tea and fruit extracts that cleanse, brighten and moisturize the skin. Neogen recommends using this cleaner after an oil-based cleaner of your choice as part of a complete double cleaning process. Since 1957, Skin, Food was K-Beauty before K-Beauty was large. This scrub, mask remains one of the best selling products of the company. Black, mineral-rich sugar in a moisturizing base serves as a gentle but effective exfoliant that cleans the pores and makes the skin soft and shiny. It should not be considered a toner, the application of an essence actually comes after the toning step and helps to hydrate the skin and prepare for the rest of your routine. Korean essences usually contain an active ingredient and in the case of this version of MISSHA it is concentrated fermentation ferment (a surprising 80 percent) that vitalizes the skin and helps to prevent discoloration.